Everybody love s’mores, right? But we can all agree they’re a big mess. I kind of hate getting messy. And sticky. Ew. 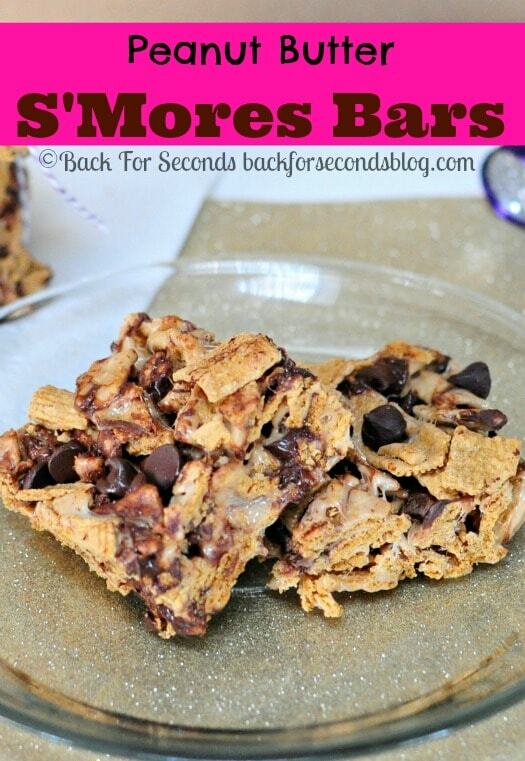 So I found a way to make these yummy treats less messy…and more delicious. 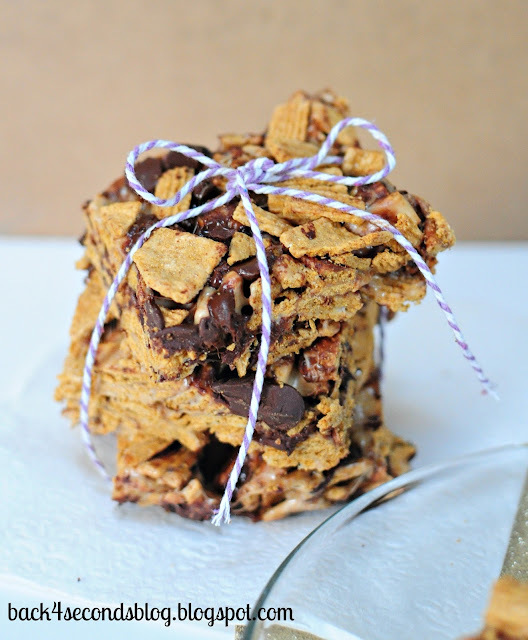 Instead of graham crackers I used Golden Grahams cereal. It’s perfect. In a large pot melt the butter and peanut butter over medium heat. Stir in marshmallows and continue stirring until melted. 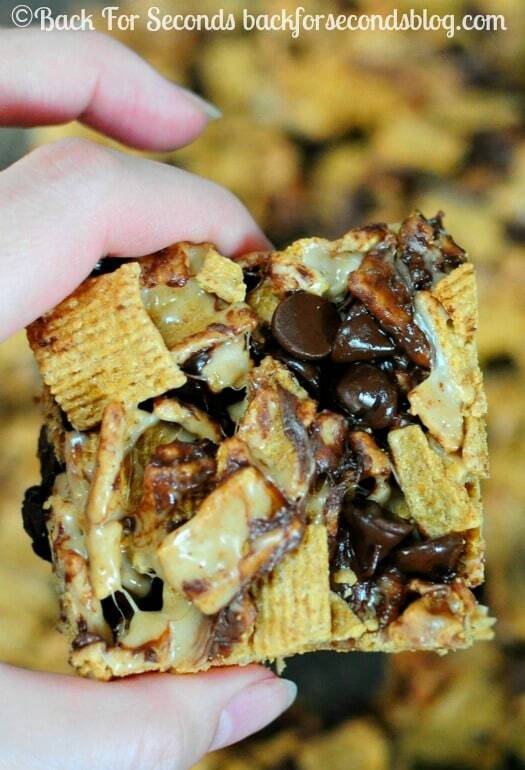 Remove from heat and gently combine with cereal and 1 1/2 cups of the chocolate chips. Press gently into a greased 9×13″ pan and sprinkle with remaining chocolate chips. When cool, cover and store at room temperature. Oh sweet Mamma. There’s no way I’d be able to resist these. I am way too weak. Swoon. OMG! All of my favorite things! Thanks for sharing! These look great. I used to make the recipe on the Golden Graham box. 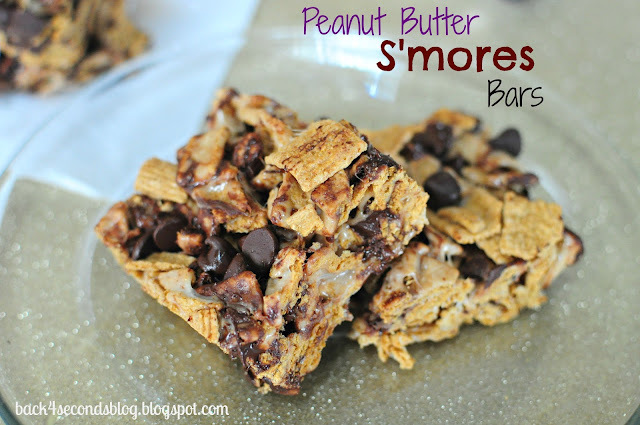 Yours look better–peanut butter and chocolate chips–yum! Could you please tell me if you used mini marshmallows or large ones? Stephanie, thanks so much for the reply! That’s what I figured. Just wanted to make sure. I am making these to take to a birthday party in a couple of weeks. I am sure they will be a hit! If i were to use Graham Crackers vs Graham Cracker cereal, do you know how many Graham Crackers I would use and do you cut them into small chunks?